The chess world currently has a very brief hiatus between world class events. The Candidate’s Tournament has just finished, and while Grandmaster Sergey Karjakin prepares to face reigning World Champion Magnus Carlsen in New York in November, the Americans are coming back to their home city to fight for another prestigious title: the U.S. Championship. With three of the top 10 players in the world participating in this competition, it is undoubtedly the strongest national championship the United States has ever seen. Before the 2016 U.S. and U.S. Women’s Championships begin, players and spectators alike will take time at the Opening Ceremony to commemorate some of the great legends in chess. The U.S. and World Chess Halls of Fame are both adding new inductees to their prestigious line-ups. First, the U.S .Chess Hall of Fame is adding two names to its walls: Grandmasters Maurice Ashley and Gata Kamsky. Ashley is now a famous personality as a commentator and organizer of the Millionaire Chess Open, but his chess accomplishments are also very significant. Born in Jamaica, Ashley became the first African-American grandmaster in the world in 1999. His contributions to chess in New York and the United States cannot be overstated. Gata Kamsky is a living chess legend. Kamsky was born in Russia to a Tatar family where he became considered a tremendous prodigy before moving to the U.S. in 1989. Among his most outstanding achievements, Kamsky defeated Grandmasters Viswanathan Anand and Valery Salov in 1994 to earn the right to challenge GM Anatoly Karpov for the FIDE World Chess Championship. He lost that 20-game match 10.5 to 7.5. After this accomplishment, Kamsky withdrew from chess for an extended period, going back to college and focusing on law school. He resurged with a bang in 2004, and only a couple of years later he shocked the world by winning the FIDE World Cup in 2007. A magnificent player and a perennial personality in the top ranks, Kamsky is still an active competitor and will be playing in this year's U.S. Championship as a five-time champion. The World Chess Hall of Fame will induct three new members this year: GM Howard Staunton, Sonja Graf-Stevenson and GM David Bronstein. Staunton was born in 1810 but achieved his chess peak around the 1840s or 1850s. His strength was so considerable, that the most famous, luxurious and at the same time practical chess set was designed and named after him. Graf-Stevenson's had an incredible life story. Born and raised in Munich, Germany, she used chess as a means to physically and mentally escape the abuse of her father. It wasn’t long before Siegbert Tarrasch, one of the most influential chess teachers of the late 19th century, recognized her talent. Graf-Stevenson soon began playing professionally and by 1934, she and Vera Menchik were the undisputed strongest women players in the world. Graf-Stevenson eventually moved to Argentina to escape the Nazis but finally settled in the United States (first living in California and later New York) after marrying an American. She later became a two-time U.S. Women's Chess Champion. Last but not least is the great Bronstein. When the question, “Who was the strongest player to never become World Champion,” is asked, almost automatically most chess players will think of Bronstein. Despite narrowly missing his chance to gain the game’s top title in the 1951 World Championship match to Botvinnik, Bronstein remained a top chess player for decades. He won several Soviet Chess Championships, led the U.S.S.R. to win the Olympiad numerous times, and won an uncountable number of tournaments. Bronstein’s theoretical legacy to chess also cannot be underestimated. His books, “Zurich 1953” and “Sorcerer's Apprentice,” have influenced chess players for many years. 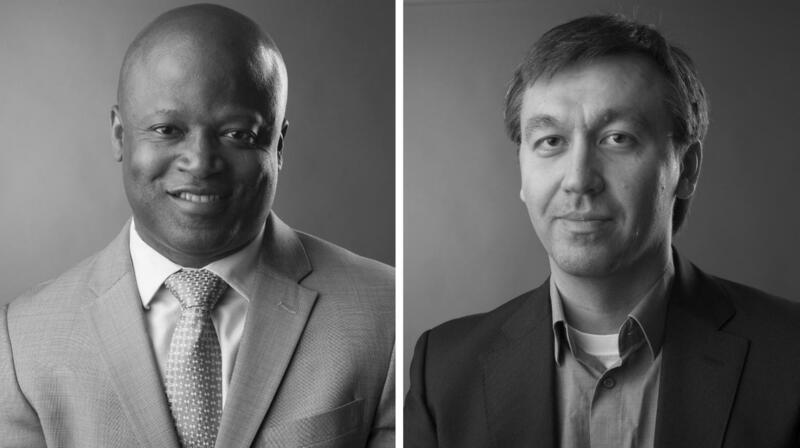 GM Howard Staunton, Sonja Graf-Stevenson and GM David Bronstein will honored at the World Chess Hall of Fame induction ceremony and GMs Maurice Ashley and Gata Kamsky will be inducted into the U.S. Chess Hall of Fame during the Opening Ceremony of the U.S. and U.S. Women’s Championship on April 13. For more information, visit the World Chess Hall of Fame website. Grandmaster Alejandro Ramirez will coach the Saint Louis University chess team and frequently is an employee at the Chess Club and Scholastic Center of Saint Louis. On Chess is provided by the Chess Club and Scholastic Center of St. Louis.